With aging face loose its contours, volume ,tone ,tightness and freshness of skin. Most facelift procedures focus on facial contours and to restore some volume. But simultaneous skin rejuvenation is of paramount importance. 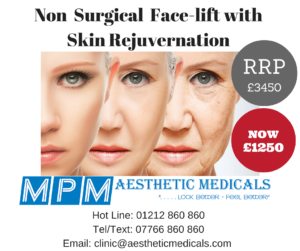 At MPM Clinics we have designed a complete package for Non Surgical Face-Lift with Facial Rejuvenation included in the procedure. We use a multifaceted approach customized to each patient.